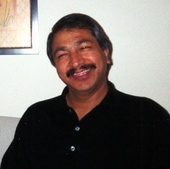 BIOGRAPHICAL INFORMATION: Anoop Mathur was born in India and immigrated to the U.S. as an adult. He has served as a teacher, administrator and board member of SILC. He developed the SILC Achievement Project class.